A home for inspirational stories of Maritime runners (but other athletes in other sports/locations as well) who started with a single step en route to achieving some of their biggest goals. We welcome your suggestions. This story ran in the Daily Gleaner in August. This story appeared in the Daily Gleaner on Aug. 27. As a 40th birthday present to himself, Mark Scott adopted a philosophy of go big or go home. So on Oct. 16, the Fredericton resident will be in Pownal, Maine, with eight of his running friends for the Big Brad Ultra, an 80-kilometre trail run that will test his endurance, commitment to training and reward a running career that has already achieved plenty in just six years. “I got it in my head that I wanted to do something memorable,” said Scott, who lives in the city with his wife Wendy and two daughters. Charlotte finished the 8km race at Hopewell Rocks, a major goal for her. Running has always been part of Charlotte Flewelling’s life but now more than ever it is essential. Step by step, she is hitting some big personal goals. And she has her sights set on Marathon by the Sea in August. Here is today’s Running Whys. Corinne Fournier is using all of her running experience to prepare for her first full marathon which will take place at Marathon by the Sea. From Saint John to Australia to South East Asia and back, Corinne Fournier used running to hit some fitness goals and then form the base for success in the sport of Ultimate Frisbee. Her dedication has continued to earn rewards as next month, she will run her first marathon at Marathon by the Sea. Read all the details in her Running Whys account. Enjoy. I was never into fitness. In my teen years, I used to be the girl that would avoid gym class with every excuse imaginable. 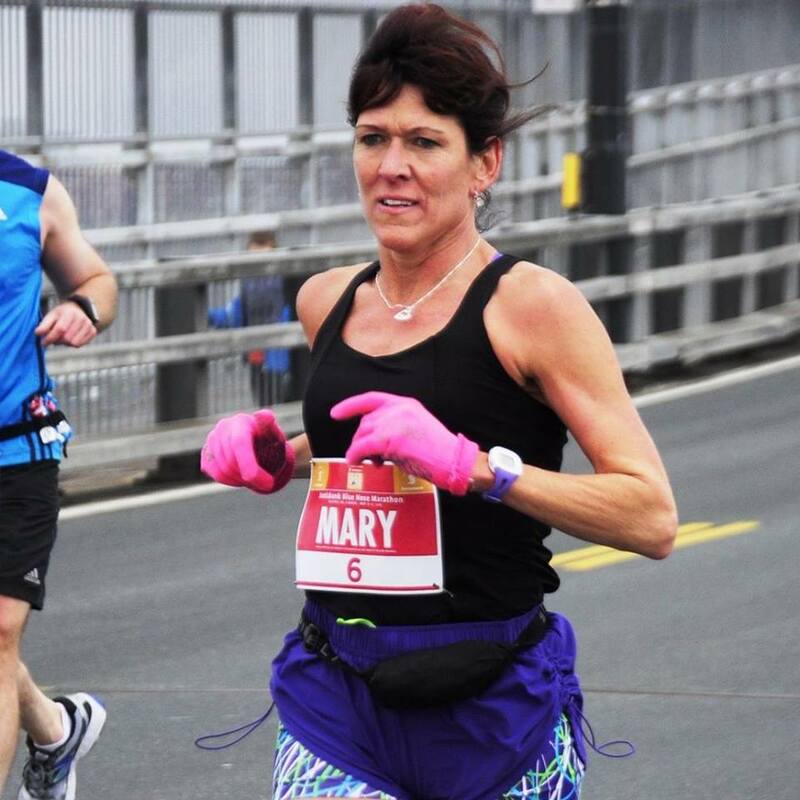 Mary Astle ran her first marathon in 18 years in May, finishing second overall in the women’s race at the 2015 Blue Nose Marathon and as a result, qualified for the 2016 Boston Marathon. This column ran in the Daily Gleaner on July 11. For years, Fredericton’s Mary Astle thrived on the individual nature that long-distance running provided. Now, she’s rekindled her fire by coaching others. 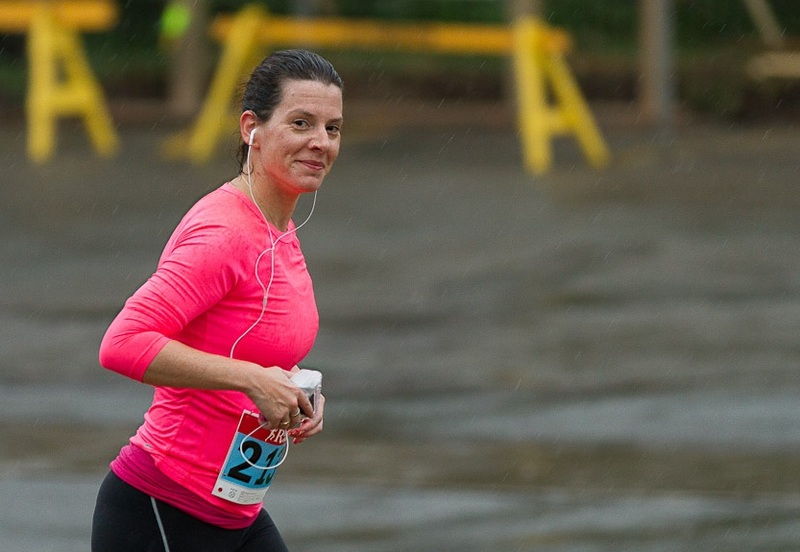 Caitlin Stevens-Kelly is shown in this photo at the Hampton 5-Miler. 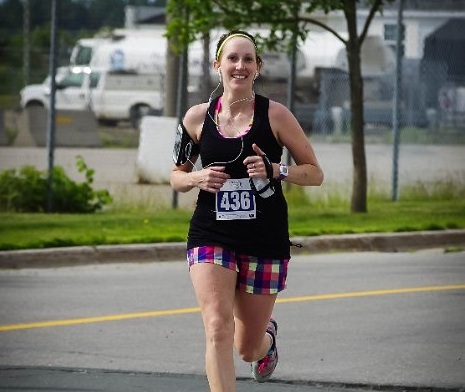 This year, she will race the half marathon at Marathon by the Sea, Photo from Run NB/Armand Landry. What started as a quest for improved health has transformed into a deep appreciation for fitness and running for Caitlin Stevens-Kelly. When once a 5-kilometre race appeared daunting, she now leads community running clinics and has a number of longer distances on her resume, on her way to her first marathon event. Here is her story and her goals for Marathon by the Sea in August. A doctor told me I had the lungs of a 76-year-old. Book reviews, travel, and little things in between. I'm many things wound into one, the sum of my parts. Running! It extends your life. From zombies. Running, eating, skiing, hiking, traveling, wining and dining.